In Part 5 of our excerpts from the Revitalization of Rivers in India Draft Policy Recommendation, we educate ourselves on the physiology of rivers and floodplains. At the culmination of the month-long Rally for Rivers journey across the country, the Revitalization of Rivers in India Draft Policy Recommendation was presented to the government on October 3, 2017. Want to learn more about exactly how this multi-faceted approach will aid India’s rivers? We’ve provided a series of excerpts from the document for you to explore. In Part 5, we educate ourselves on the physiology of rivers and floodplains. It will be useful and important to understand technically why rivers and their ecosystems are essential to human societies. A river that we see as a huge gurgling stream or as a placid, wide and long flowing water body is a dynamic phenomenon. Rivers are not only water bodies that meet human water needs - they are essential elements for vast ecosystems and for the health and survival of billions of people. Rivers are made up of their tributaries, which are fed by rivulets, that are in turn fed by springs in deep forests, or large lakes or glacial meltwater, or simply from rains that flow off the surface or that come through rocks or man-made channels. Many times the water in the river is also sourced from underground aquifers that may have a higher water table than the river itself. The volume of water that flows in the river comprises of the visible volume of free water flow along with substantial sub-surface water flows contributed by rocks, gravel and the river’s floodplains. For many rivers, the sub-surface volume of water flow may exceed greatly the visible free water flows. Throughout its entire course, the river not only transports water, but also sediments and other micronutrients from the upper reaches of the river to the plains. Throughout its entire course, the river not only transports water, but also sediments and other micronutrients from the upper reaches of the river to the plains. The plains are usually the food basket of any river basin. The sediments and micronutrients have a very important role to play in keeping these plains fertile. The entire area from which water is drained into a river is called its catchment, drainage basin or watershed. The channel through which a river usually traverses is called the river channel. The water that flows in the river is usually confined to that river channel. In larger rivers, and rivers where the seasonal flow changes, flood waters overflowing from the regular river channels create wider floodplains. Floodplains may be wider than the river channels when the river hydrographs are not straight lines, i.e. when there is marked variation in the quantity of flow over time. Neither the floodplains nor the river channels are clearly demarcated by nature. The `100-year floodplain’ is the riverside land that has a 1% probability of flooding in any year, and is one of the accepted measures of demarcating a floodplain. Flooding of any river is a natural part of a river cycle. It is a mechanism through which fertile and nutrient-rich sediments are transported into the plains. Rivers also are habitat to a wide variety of flora and fauna. The diversity housed in riverine ecosystems range from species found in torrential waterfalls through lowland mires to estuaries. Many of these species play a vital role in cleansing the river as it traverses from one settlement to another, thus maintaining the river quality at safe standards. The ecosystems that have evolved on different sections of the river have been responsible for stabilizing the river habitat and its climatic conditions over millennia. They have evolved to resist the shocks from natural calamities too. For example, in the aftermath of the 2004 tsunami, it was observed that the impact of the tsunami on coastal communities wherever mangrove forests were intact was significantly less severe compared to those communities where the mangroves were uprooted. Rivers can be viewed as living entities that can become sick and die if not appropriately taken care of. Viewing a river as a living entity is not merely rhetoric; there is a scientific explanation for this analogy. In May 2017 the government of Madhya Pradesh moved to accord the Narmada river the legal status of a “living entity”. 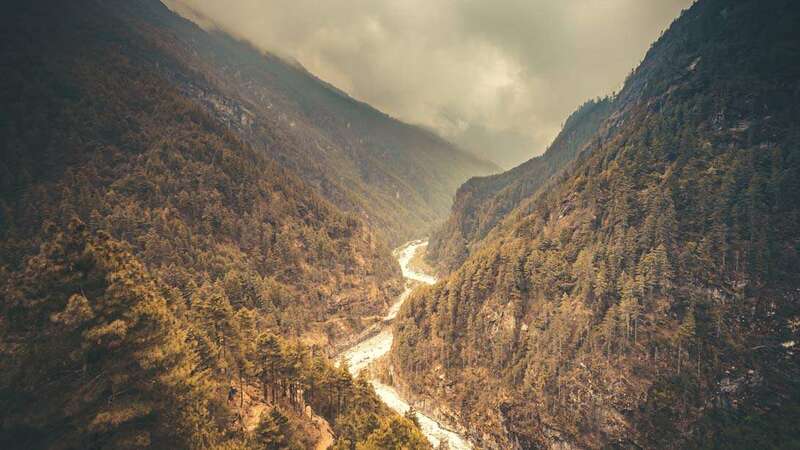 And earlier in April 2017, the Uttarakhand High Court declared Ganga and Yamuna and their tributaries as “living entities having the status of a legal person”. We have abused the rivers to a point where the disturbances we have caused to many riverine ecosystems are irreversible. All living entities function through transformation of energy and nutrients through various physical and chemical processes. Each organism differs in its ability to perform specific functions. Any organism is a composite of different organs, but the function of the organism is not just a composite of the functions of all its organs. And failure of an organ or even a few cells of an organ impairs the functioning of the entire organism. Homeostasis is a dynamic equilibrium among living cells, among organs, among organisms or an ecosystem under ever-changing environmental conditions. All organisms have a certain ability to handle changes or disturbances in this dynamic equilibrium. The organisms have a self-regulating ability to return to the previous equilibrium or come to a new state of equilibrium. Another ability of organisms to withstand adverse conditions without adversely affecting their functioning or growth is called resilience. All ecosystems exhibit this ability for homeostasis and resilience. But their capabilities are not limitless. And every ecosystem has different ways to cope and adapt to the changes or disturbances within an ecosystem. It would not be completely wrong to say that this rudimentary understanding of rivers as just another resource is one of the reasons why we have used and exploited them across the world. We have abused the rivers to a point where the disturbances we have caused to many riverine ecosystems are irreversible. The quality and health of a river as an ecosystem is related to the uninterrupted flow from its origin until it meets the ocean. This is its longitudinal connectivity. People, to a great extent, are concerned with that particular stretch of the river that they interact with. This applies to those who are dependent on the river or live on its banks. But for city dwellers, a river is just the source of water that comes from the taps. Others see rivers as waterways to transport goods, and still others view them as resources to be stored in some structure or whose flow will generate energy. Yet, it is crucial to have a look at the larger picture to understand the importance of rivers. One of the most critical roles of a river is that it carries water from precipitation to the ocean, thus closing the hydrological cycle. Along its journey, a river changes its course, its temper, and its attitude from its inception, like a new-born baby, in the snow-melts or in the forest – until it meets the ocean as a mature elderly person. The quality and health of a river as an ecosystem is related to the uninterrupted flow from its origin until it meets the ocean. This is its longitudinal connectivity. It is also decided by the quality of interaction with the landmass on either side of the river throughout its course. This is lateral connectivity. The seasonal variation in flow will be determined by natural climatic factors. An important function of the river is its ability to assimilate waste generated by human and other natural activity and convert it into input for other organisms in the riverine ecosystem. Another function is to transport materials and nutrients to downstream areas of the basin and finally to the sea, where they support growth of mangroves and fisheries. The high flows of rivers during the monsoons, especially in India, distribute sediments along with organic matter and nutrients on floodplains. The floodplains also support the river flow throughout the year by modulating the discharge into the river, providing a feeding ground for biodiversity that lives in the riverine ecosystem and recharging groundwater aquifers interacting with the river. The area on either side of a river that becomes part of the extended river bed when the river floods is called the floodplain. The extent of the floodplain is defined by the area a river would occupy in the event of a 100-year return flood. This area should belong to the river in order for the river to survive and also for the larger human civilization to not perish. The diversity of the ecosystem housed in a floodplain is sometimes 100 or even 1000 times that of the river water ecosystem. Floodplains are classified into active and passive floodplains. Active floodplains are those regions where the river is still free and there is no encroachment. Passive floodplains are those areas where there is some human activity, but these areas may also flood if there is a very high volume of water flowing through the river. If the floodplains, both active and passive, are not maintained sustainably, all the above mentioned benefits will never be realized. Rather the opposite effects will be seen to pan out – flooding of habitations, drying of the underground aquifers, increase in average temperatures, run off of fertile soil into sea rather than deposition into seasonal farm lands and loss of biodiversity found in the floodplains. Editor’s Note: The above content is an extract from the Revitalization of Rivers in India Draft Policy Recommendation. If you are concerned about India’s rivers, the simplest way you can participate in revitalizing them is by giving a missed call to 80009 80009. Find out how a missed call will help in saving our rivers. ‘Ganga, Yamuna termed ‘living persons’’. However the Supreme Court subsequently stayed the HC order in response to a petition from the Uttarakhand Government. ‘Yamuna, Living or Dying?’ Pg. 17, in Iyer, Ramaswamy R. Living rivers, dying rivers. Oxford University Press, 2015. A flood event that has a one percent probability of occurring in any given year. In the Haridwar event, on the banks of the Ganga, where 50% of the attendees were sadhus, the stage too was adorned in saffron color.